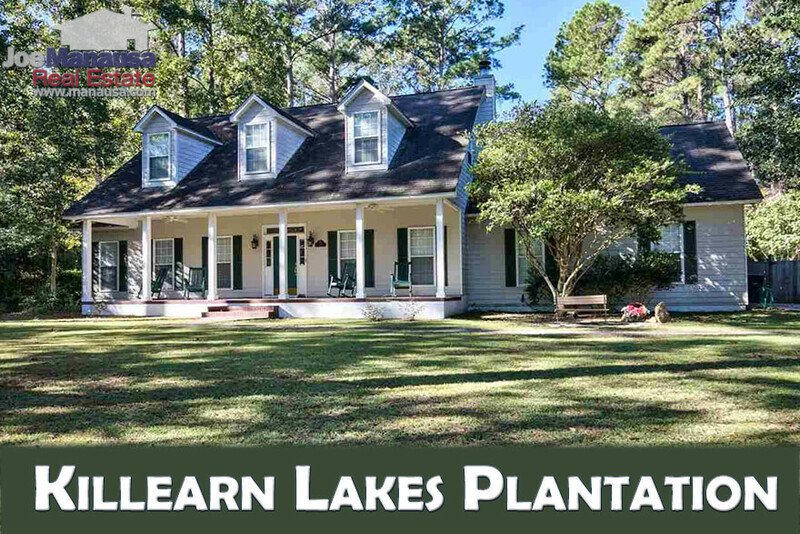 There are 87 homes for sale right now in Killearn Lakes Plantation, the hottest neighborhood in the 32312 zip code. With A-rated schools, miles of lakes, natural walking trails, flora, and fauna ... there is plenty for most of today's active homebuyers. If you are considering a move and have a home to sell in Killearn Lakes, you should know this! If you are thinking about buying, take a look at the recent report we produced on supply and demand for homes in this area .... it suggests you should not waste any time. 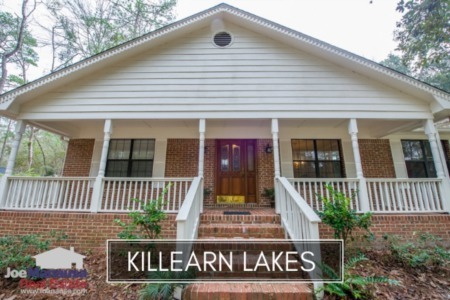 Buyers continue to seek homes for sale in Killearn Lakes Plantation due to the fact that many are within walking distance to the Leon County schools that serve the area (Killearn Lakes Elementary School, Deerlake Middle School, and Chiles High School), and they are all A-rated schools. The following report on the Killearn Lakes community includes graphs of home prices, home values, and home sizes, as well as a list of all closed home sales going back to 1991. For the real estate graphs found in this report, you will find the number of closed home sales for each year (red columns, measured on the left vertical axis), and an important real estate statistic shown in blue (measured on the right vertical axis). It is important to note that the narrative contained below is for sales through December for all previous years, and through the 30th of October in 2017. The graphs and the closed sales table will be continuously updated into the future (meaning bookmark this page if you always want to know the current status of homes in Killearn Lakes Plantation). Killearn Lakes Plantation home prices have risen 8% over last year's average so far in 2017. The average home price thus far in 2017 has been $232,270. Home sales activity remains very strong as there are 87 homes for sale in Killearn Lakes Plantation and 30% of them are already under contract. Through the writing of this report, there have been 136 closed home sales in Killearn Lakes Plantation in 2017. Average home values in Killearn Lakes are up more than 11% thus far in 2016, and they are still rising. We projected a "conservative" 10% rate of appreciation for this year due to the limited supply of homes, and if sales hold out, we'll end up beating that conservative estimate soundly. The average value of a home sold in Killearn Lakes Plantation through October in 2017 has been $132 per square foot. That means we are only 4% below the highest average values ever recorded in KLP back in 2006. We will see new record highs for home values in Killearn Lakes very soon (within the next 12 months). The average home size sold in Killearn Lakes Plantation typically falls in a range of 1,650 to 1,850 square feet, and this year is no different. The 136 homes sold thus far in 2017 have averaged 1,770 square feet. 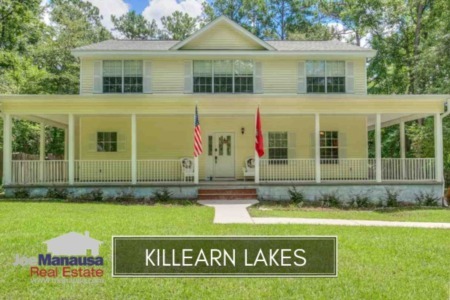 The following list includes the most recent 1,000 home sales in Killearn Lakes Plantation. You can change the sort order by clicking any one of the titles in the header. This concludes our November 2017 update on home sales in Killearn Lakes Plantation, please feel free to drop me a note if you have questions not covered in this report.